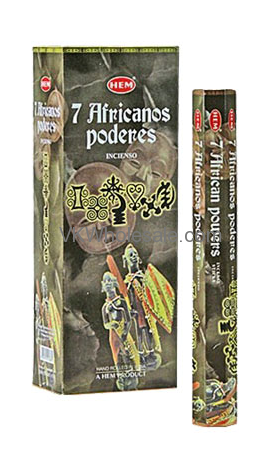 Minimum quantity for "7 African Powers Hem Incense - 20 STICK PACKS (6 pks /Box)" is 3. Hand rolled incense sticks with excellent fragrance that you can enjoy for hours everyday. HEM incense sticks are made from good quality woods, florals, resins and excellent quality oils. These all ingredients are mixed very well with extra care to produce smooth soothing fragrances. Total 6 hexagon packs comes in one box. Each hexagon packs has 20 Hem Incense sticks inside. 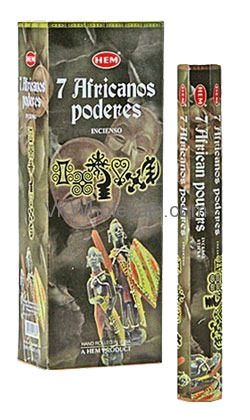 Minimum quantity for "7 Powers Hem Incense - 20 STICK PACKS (6 pks /Box)" is 3. Minimum quantity for "African Musk Hem Incense - 20 STICK PACKS (6 pks /Box)" is 3. Minimum quantity for "Amber Hem Incense - 20 STICK PACKS (6 pks /Box)" is 3. 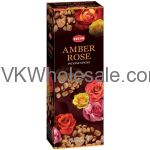 Minimum quantity for "Amber Rose Hem Incense - 20 STICK PACKS (6 pks /Box)" is 3. Minimum quantity for "Attracts Money Hem Incense - 20 STICK PACKS (6 pks /Box)" is 3. Minimum quantity for "Attracts Money Hem Incense 6 CT" is 3.